Specially formulated for cleaning and polishing stainless steel. Removes fingerprints, smears and soils. Abrasive-free, leaving your surfaces scratch-free. 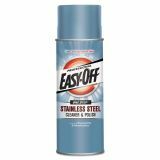 Professional EASY-OFF Stainless Steel Cleaner & Polish, Liquid, 17 oz. 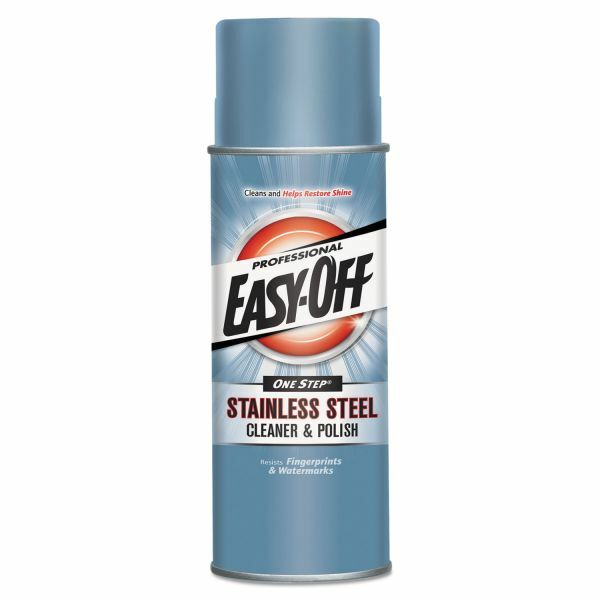 Aerosol Can - Professional Easy-Off Stainless Steel Cleaner and Polish is specially formulated to clean and polish stainless steel and a variety of other surfaces including laminated plastics and brushed chrome. Resists fingerprints and watermarks. No abrasives. Mineral oil-based and odorless.